While most orthodox Jews reacted with joy and happiness to the news of President Donald Trump commuting the sentence of Sholom Mordechai Rubashkin, some expressed their dismay and “profound disgust” with the joy that followed the news. Rabbi Mendel Kaplan took to social media to call out those sentiments. Nobody I know believes that “bank fraud is a Mitzvah,” and frankly your making blanket statements about “Hareidi Jews commonly justifying white collar crime by cloaking it in a Talit of frum-piety” is anti-Semitic (yes, a Jew who passes judgement on a wide swath of other Jews who might act or dress differently then them is also guilty of the same abhorrent form of racism). To be sure, Sholom Mordechai Rubashkin is not a saint and has definitely made some serious mistakes along the way. He is not alone. We have all made mistakes in life. And yes, it’s also true that some people’s mistakes might be bigger than others. To be so harshly critical of his errors, yet so accepting of others’ behaviour smacks of incredible (and may I add egregious) hypocrisy. I wholeheartedly agree that none should be “above the law.” Defrauding financial institutions, cheating on income tax or illegally obtaining government funding is a crime. It is fair to say that those who break the law, deserve to be dealt with accordingly. HOWEVER, a 27 year sentence for bank fraud cannot be justified. That was nothing less than a Dryfuseque display of horribly outrageous anti-Semitism in 21st century America. The Frum community did not “broadcast tacit approval of criminality” it expressed a beautiful wave of solidarity with a Yid who was unjustly and harshly mistreated for the simple reason that he was (visibly) Jewish. The tsunami of joy that you are now seeing flood the web and social media is a remarkable outpouring of Torah-true solidarity and the sincere brotherhood and kinship that should always be felt amongst ALL Yidden. 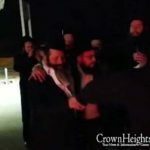 You are presently witnessing the truest meaning of Ahavat Yisrael, as thousands delight and rejoice in the redemption of a fellow Yid who was unfairly treated just because he was Jewish. Be inspired by it. Or at least wish you could feel it. I am not ashamed to admit that I cried upon hearing the news. Not because Shalom Mordechai is my friend. I don’t really know him personally. But because, along with tens-of-thousands of others, I am privileged to feel a familial bond with a fellow Yid. If he was your terrestrial brother, you’d innately overlook his shortcomings and be happy for him tonight… that is the essential meaning of the Mitzvah of Ahavat Yisrael. Self-love blinds us to our own faults, love of our fellow should blind us to their faults as well!! I pray that Hashem opens your heart and fills it with love… and may the beautiful Achdut Yisrael now sweeping the globe serve as the final catalyst for the arrival of our long awaited redemption through the righteous Moshiach, speedily and in our days, amen! VERY WELL SAID. Amen, and may we merit to the final geula speedily NOW! I hope it’s OK if I post this on FB. Please let me know asap. SR should issue a statement condeming ALL criminal behavior in the frum community. Otissville prison is the best example.Bank fraud is a crime. Do the CRIME and you will do the TIME ! Write but we dont speak like that if you have something good to say say it and if not then dont ahavas yisroel we need moshiach ad mosai. I find it odd that no one inside CH or otherwise has noted, despite alleged crimes, how much Rubashkin has helped FEED his community. As a former recipient of erev Shabbos chickens via Simchas v’Shabbos through the work of Shimshon Stock BDE and his ongoing family, my family was able to eat, for Shabbos and days afterwards. 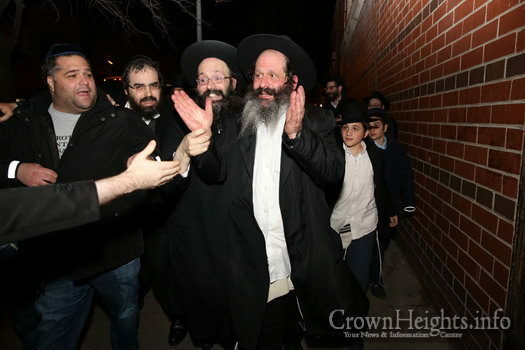 That is my heartfelt loyalty and joy at Sholom Rubashkin’s release and for his wife and children, may they never experience the poverty and hunger we did. May all Jews merit the coming of Moshiach together, where ever we are. Welcome home Sholom, may you now have peace. Rabbi Kaplan missed the keywords “profound disgust” with the *joy that followed* the news”, without going into details change the name Rubashkin for Johnathon Polard or Gilad Shalit and ask where was the *joy that followed* the news……? those 2 were Zionists and set in jail for Zionism a cause that often is against Torah. Getting out a guilty Yid (if he is in fact guilty) of an American jail is not considered Pidyon Shvuyim. In fact, the Rebbe once spoke about the prison system in American and said that it’s Dina D’Malchusa and no one should get in the way. “Law and order” keeps us all safe. It’s one of the 7 universal Laws. I’m happy that he was let out early, but the ignorance, and especially expressed with confidence and gayvo, is commonplace in these forums. This Citizen Berel is not the one that had in the past appeared in this comment section from time to time. That Citizen Berel will never post again under that name and hasn’t posted under that name in months. That Citizen Berel acted foolishly in that there are one or two readers who knew the identity behind the name. Getting out a guilty Yid (if he is in fact guilty) of an American jail is not considered Pidyon Shvuyim. Since when? Where have you seen any difference between an American jail and any other? 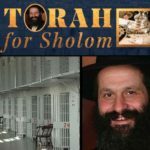 the Rebbe once spoke about the prison system in American and said that it’s Dina D’Malchusa and no one should get in the way. When was this sicha? The only sichos I heard condemned the prison system as unjust, without sanction from the Torah, and destructive of Hashem’s purpose in creating a person. Where was the joy for Pollard and Shalit you ask. So I will answer you. Pollard served every last day that they could hold him and after release, he still has very strict restrictions. If any of the six Presidents would commute his sentence, I would jump for joy – no different than I did for Rubashkin. Shalit’s release came at a very large price, letting terrorists with blood on their hands free. This caused a lot of pain. There is no comparison. To Anonymous: So it’s all about money! He gave money we need to celebrate, if someone doesn’t hand out money his/her release is irrelevant. To Speaker: Mr. Shalit is another Jew who was singled out because like me and you he is Jewish. To say we don’t need to celebrate because they were Zionists is in my opinion vulgar and against the Rebbe’s view of the miraculous Operation Entebbe. The people rescued at Entebbe were not zionists. The issue was whether Hashem can use zionists to perform His work, and the Rebbe insisted that He can, or else what’s chof-alef Kislev all about? Shalit’s release was not a time for dancing but for crying, because it was completely against the halocho. It was bought at the expense of hundreds of innocent lives. If the motive for an unusually harsh sentence wa’s anti-semitism – I know for a fact that some of his lawyers were downplaying that. This was told to me by one of the lawyer”s relatives. He was charged with? Secondly, go on pacer and familiarize yourself with the details of the case- the vindictive prosecutorial discretion that was employed- and exactly what Shalom Mordechai actually did. He inflated a figure on an application to obtain a loan. Boththe shliach and the layperson commented are both libalist comments. Simply fictitious. After spending three years in law school and an additional year obtaining my masters in law- in Criminal Litigation- I am amazed how people throw around unsupported allegations and parokeet media falsehoods. Arm yourself with the facts and the law and then- embellish in an opinion. Otherwise- al Samod al dam raecha. The Doj is anything but justice. Rubashkin did not conduct fraud, nor was he a criminal. Here’s what I understnad about the matter : He took loans and apparently there were some structural issues which he attempted to correct when he became aware of them. The govt forced the bank to call in the loan and he was able to pul in the funds to pay off the loan yet the govt again stepped in and refused to allow those funds to be used to pay for the loan – even the actual bank, the victim of the same governmental agency was happy to have the funds paid into the bank and really wasn’t demanding the money. Yet, despite this, the government again stepped in and threatened anyone helping Rubashkin or the bank. This was a government created crisis, harming THOUSANDS, as the plant had to shut down and the government wouldn’t allow it to be a kosher slaughter house again since the major shochtim who would have to be involved in salvaging the operation knew each other. To make matters worse the prosecutor had a conflict of interest in the case and should have recused herself ( I think it was a woman ). This whole tragedy was government over reach, unbridledlust for power using corrupt and mafia type tactics to shut down a Jewish business – BECAUSE it was a Jewish business, the shutting of which affected at LEAST tens of thousands of frum Jews. 100% PURE Anti-Semitism. Let’s tell the media the truth how it is. There are some very corrupt people in govt who created this so called crime and put Shalom Rubashkin’s name to it. They had a reason why they gave 27 years for a crime that typically carries only one year. I agree with your words wholeheartedly. In simpler words, it’s just like the govt caused someone to lose their job and forbade anyone to give him food, his only way of surviving would be to steal some bread, and then the govt arrests him for theft. Entrapment: In criminal law, entrapment is a practice whereby a law enforcement agent induces a person to commit a criminal offence that the person would have otherwise been unlikely or unwilling to commit. I was there last night in 770 dancing, the energy was indiscriptible. I barely tolerate frum ppl who do fraud hissing behind Torah. For mor that i am super happy he came out, i truly believe he should have a fair trial and deduct the years spent in jail from whatever sentence they’ll give him just to show to the world that we jews also abide to the law. Am Yisroel very much did care and many people from every sect of the frum community were involved throughout. That statement is an insult to all of them, to all of us. There were two sectors that very much didn’t care and were opposed: the “social justice” Jews who read the Forward, and the Modern Orthodox, who often seem like mitzvah-keeping Protestants. No, it’s not about money, it’s about chessed, simply being a good person. It’s funny how the very same people who turn up their noses at Rubashkin are constantly lecturing us about the mitzvos bein odom lachavero being more important than those that are bein odom lamokom, and yet here we have someone who excels davka in bein odom lachavero, whom they should be celebrating even more than we do, but somehow they have discovered new principles. Apparently the supposed “mitzvos” bein odom lamdinoh are even more important to them than even the MBOLC. It seems that to them actual mitzvos like shabbos and kashrus and mikveh are not just category 2, but category 3 or lower. First comes the almighty Law. Then comes being nice to people, or at least lecturing people about it. And only then comes the Eibershter. The Rubashkin family excel in chessed, they’re imbued with it, they constantly put themselves out for others. That’s a rare middoh. One doesn’t often see it in those who constantly talk about it. And I don’t mean writing checks. Writing a check is easy if you’ve got the money to cover it. Many a rich person salves his conscience by writing a few large checks, and then locking himself in his mansion to relax and pat himself on the back for a job well done. The Rubashkins are not built of that material. Helping people isn’t an item on a To Do list, to be gotten over as quickly and as conveniently as possible, it’s what they live for. They’re not even that generous with their money, compared to some; but they’re generous with themselves, and that’s the measure of a person’s character. It’s important to remember that SMR did not harm anyone, not even the bank. His “fraud” was entirely technical, and the bank knew about it and didn’t mind. He was well able to service the loan he took out, and never missed a payment. The loss the bank eventually took was caused entirely by the government — first by precipitating the crisis with their raid, and then by brazen misconduct by the prosecutor (for which he belongs in prison), deliberately depressing the company’s sale price in order to increase the bank’s loss and thus the magnitude of the “crime”. 2. I think that there is an important point there , he was guilty of many crimes and the fact that people are not talking about it is partly because his sentence was so harsh but also partly (partly +) because in the ultra frum world the crimes he committed are not taken seriously, tax evasion, bank fraud , illegal employment and activity is not something demonized in the charedi world, and some may argue is even considered okay to the point that you can get away with it, now whether this sentiment is justified to a certain point or not is debatable but if someone from outside that mindset questions this , the appropriate response is not to belittle it and on the contrary i think the rubashkin case should be used as a reminder for some soul searching and maybe a shift of outlook with this perspective and education, or at least one should relate to those who feel like that. I didn’t see any of the bank papers… Or know the particulars Etc.. But do know first hand banks can commit serious fraud too with different shenanigans… But when its the other way around borrowers go to jail yet these bank crooks get away or pay a fine that’s it. While reading this”response,” I cried several times because of the way you Rabbi Kaplan bright to light the Ahavas Yisroel and how you expressed that our feelings of joy are the purest expression of it. Thank you so much for writing this and sharing it. I so resonate. Good Shabbos everyone! May we only increase our unity and merit to behold Moshiach in our times speedily! Do people realize that when there was an impartial judge in the state case it was clear that Agripricessors had a personnel department that would not hire illegal immigrants or underage workers. The workers were all paid the wages of legal adults in spite of the fact that some of them broke the law by obtaining false documents. Agriprocessors emphatically requested that the government identify who the illegals and minors, if any, were, so that the company would no longer employ them, and there would not be a raid. The raid broke the business and traumatized the town including many legal, adult immigrants. The raid was executed at great expense to the taxpayers and tremendous cruelty to the Latino and Jewish communities and the community as a whole. Indeed, there was an outcry as to what was done to the immigrants. It is obviously anti Semitic that Rabbi Rubashkin was blamed for the government’s destructiveness, and that the “ultra orthodox” are shunned for being joyful when we see the beginning of a reversal, justice starting to happen. i do not agree that any chasid or haredi should ever go to jail. Al pi Torah, just pay restitution, plus penalty; you don’t put them in jail. But, the grim reality is that US law does not care that you want to give back. If the law was broken, the law-breaker must be punished – money is not good enough; time in prison. Famous white-collar attorney, Ben Brafman, pointed this out with the example of a bank-robber who is willing to give back the money. Sorry, what their looking at is the misdead. In so much time how little we’ve learned. Glad someone posted the American Spectator piece. Here’s another by Conrad Black, someone who’s actually sat on corporate boards. If someone doesn’t know a thing about the case, is that a reason to comment, full with motzi shem ra? For anyone suggesting that there was an actual criminal act, here’s the reason why so many who didn’t even know him stuck their necks out and here’s also why anyone saying that an actual crime was committed is flat out wrong and doing a disservice to the entire cause. Before going into the facts, let’s be clear that the above is meant to posters and to some big names not mentioned here who want bend over backwards to “appear reasonable” to complainers who are anything but. Nothing said herein applies to Rabbi Kaplan, who’s great piece does not stress this fallacy and who wrote something impromptu and does a very good job of hitting the main issues. 1) The bank loan was taken out legitimately. 2007 financials would be the standard and a value of $68mil would be easy based on that. SMR’s CFO (it wasn’t even him himself) had no way of anticipating the PETA/”Hekhsher Tzedek” (what a misnomer on all counts) boycott, in which all large Agri customers were called and harassed repeatedly, some even threatened. He also could not have anticipated the unprecedented ICE raid or the immediate plant closure. 2) The line of credit was used legitimately as well. The bank itself likely didn’t know that, according to the fine print of the credit line contract, the line should be accessed upon delivery of the meat instead of a day earlier when it’s ordered. In fact, it seems pretty clear that they didn’t see or care about this difference, as they asked for order receipts, not delivery receipts. If you want to call that “bank fraud,” then realize that those who pay their mortgage 5 days late are probably committing greater “bank fraud” by doing so. 3) He did pay for cattle 11 days after he bought them. A technical violation of the 1921 Packers and Stockyards Act. No one’s ever been prosecuted for this before, but the main point is that the chance he knew about this provision is about the same as you knowing that it’s against the law to eat ice cream in Oregon on a Sunday (actual law and nothing to do with “ice cream sundaes”). By “admitting” to a “crime” he did not commit, you’re not only besmirching an innocent person, you’re making a mockery out of former Speaker Pelosi, Senate President Pro Tempore Hatch, 6 former US Attorneys General (running the gamut from Ed Meese through Ramsey Clark) and countless others, many of whom don’t even know people who know Rubashkin and would not put themselves on the line over a harsh sentence without thinking (if not going as far as to publicly say) that we’re dealing with an innocent person. You’re also going against the facts. I’m also confident in saying that if Mendel Beilis’ trial had happened in modern times there’d be the same swath of people yelling “well, he must have done something.” And to be sure, he did. He breathed. There’s a whole group/network or whatever that wants to use every social issue as a battering ram to aim at the frum community. By writing “he committed a crime but he’s a great guy,” you’re making a laughingstock of yourself and of all supporters in their eyes, you’re ignoring the truth and the above facts and you’re harming all supporters (even if you do know more about business and the law than Pelosi, Hatch, Conrad Black, Alan Dershowitz and others). Again, this is only addressed to those who’ve made it their main argument and not to the writer of the excellent and well meaning op-ed that is the above column.